The aluminium melting furnace is one of the most used industrial furnaces. The aluminium working process requires most of the times the melting process, in order to remove the impurities and to confer particular properties to the element that undergoes through the process. With the aluminium melting furnace it is possible to melt the aluminium shaping it like ingots, feeder-heads or other kind of objects. Aluminium is a very versatile material, suitable both to everyday use that to a more permanent one. Durabòe through time, it can be recycled indefinitely and it has a relatively low cost. In the past it was even considered a noble material. Aluminium can be worked and shaped to be adjusted to the most various use. From ramekins to gates, from roofs to components of cars, boats and airplanes. So, this means that the aluminium melting furnace is a machine widely used by every business that deals with this material, no matter what the product market is. The process on which the aluminium melting furnace is based is extremely simple, and uses molds of different forms and dimensions, depending on the final use that the object will have. The heat reaches temperatures that hang around 600°C and more, that is the melting point of aluminium. It is important to preserve the material from internal and external contaminations. Oxides in particular can damage the material. Even if a thick and compact oxide layer creates a sort of protection called passivation, a minimun imbalance can cause the formation of corrosion phenomenons. Campana Forni realized every kind of aluminium melting furnace, designing and building machines based on the specifical client requests and needs. Our ovens are designed by professionals of engineering and comply with the technical requirements. 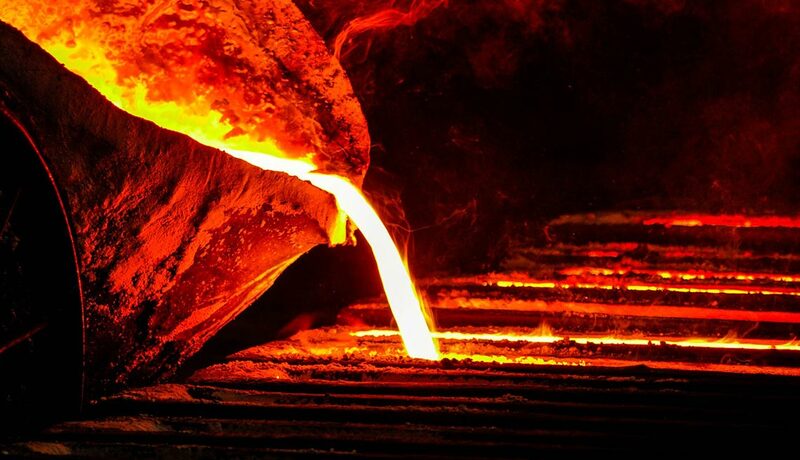 The ovens can be realized with the technique of pit furnace of the horizontal furnace, depending of the kind of process and object to create. After the designing, our specialized workers take care of giving life to the aluminium melting furnace, satisfying the client needs.